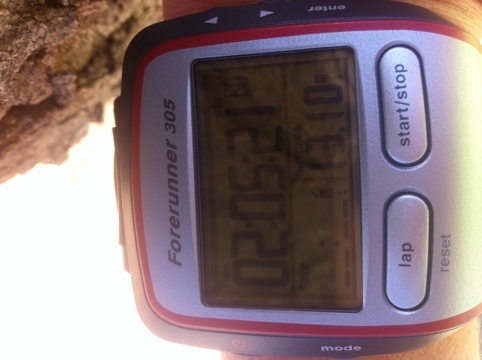 This morning my goal was the accomplish something… That something was 13.1 mile run!!! After starting with below freezing temps and a lot of Swedish fish, this girl did just that!! Our other running partner text first thing this morning that she was sick, hopefully not the bug that is going around so Corey and I set to it. Corey and I had both had the flu or stomach bug this past week and therefore we weren’t sure how today would go. I felt bad we started out and she just did not have the energy after 3ish miles. She left me the fish for fuel and headed home to eat some more and rest before trying it again. I have to admit I didn’t know when I was by myself if I could do it, but I kept telling myself that I didn’t have a reason to stop until 13.1 so I didn’t. Sometimes it takes all my mental thinking to keep at it, but so thankful I did! I hope my running buddies get feeling better!! Hope you have had a great Saturday!!! Posted in Body in motion, Gluten Free, Main Course and tagged half marathon training, running. Bookmark the permalink. YAY!!! great job!!! I knew you could do it.